CHARLOTTE, N.C. -- Duke Energy today received regulatory approval from the North Carolina Utilities Commission (NCUC) to construct solar facilities in Davie and Union counties. The 60-megawatt (MW) Monroe Solar Facility on 2272 S. Rocky River Road near Monroe in Union County will be located on a 400-acre site. Strata Solar in Chapel Hill will design and build the project. The 15.4-MW Mocksville Solar Facility in Davie County will use about 110 acres of land. The project will be located at 197 Crawford Road in Mocksville. Crowder Construction in Charlotte will serve as the project engineering, procurement and construction lead. "These projects are part of our planned expansion of solar in North Carolina," said Rob Caldwell, senior vice president, Distributed Energy Resources. "With the state third in the nation for installed solar power, we are committed to growing renewable energy in a sustainable way that benefits all customers." Both projects will be owned and operated by Duke Energy Carolinas and will help meet North Carolina's Renewable Energy and Energy Efficiency Portfolio Standard. Duke Energy utilities continue to invest heavily in solar energy in North Carolina as part of its effort to deliver increasingly clean energy to customers. The company recently completed construction of around 140 MWs of capacity at four major solar facilities in the North Carolina counties of Bladen, Duplin, Onslow and Wilson. A project in Rowan County is awaiting NCUC approval. Over the past eight years, Duke Energy, through its regulated and commercial businesses, has invested more than $4 billion in wind and solar facilities in 13 states. 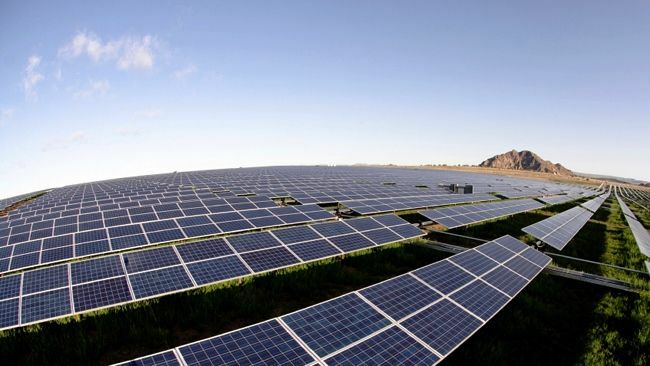 The company plans to invest about $3 billion in renewable energy over the next five years. In 2015 alone, Duke Energy added 300 MW of solar energy capacity in North Carolina. In total, Duke Energy companies, both regulated and commercial, have installed about 450 MW of solar energy in the state, enough to power 85,000 average homes at peak production. Duke Energy companies have more than 35 solar facilities in the state.